Eric Nam has revealed the next teaser image for his upcoming track "Miss You". In the image above, the singer can be seen leaning back on a beige couch with a blank expression on his face. The lyric line states, "When I'm quiet and alone with no warning, I think of you. "�As previously reported, this will mark Eric Nam's first official comeback since his 3rd mini album 'Honestly'. 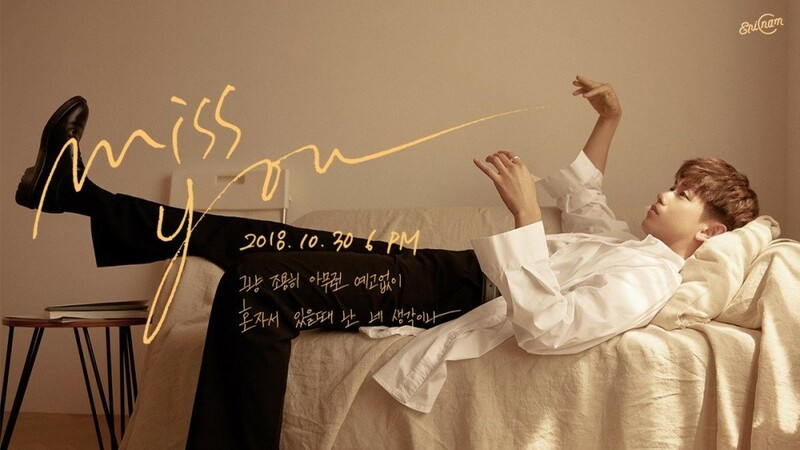 "Miss You" drops on October 30 at 6PM KST.